Fun on land, fun in the sky. 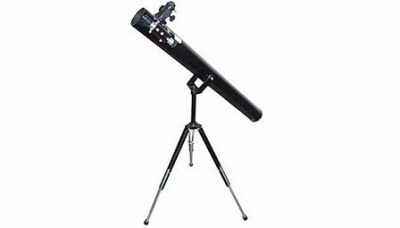 Buy this versatile yet compact telescope and enjoy both land and sky objects. From birds and squirrels to mountains and valleys. 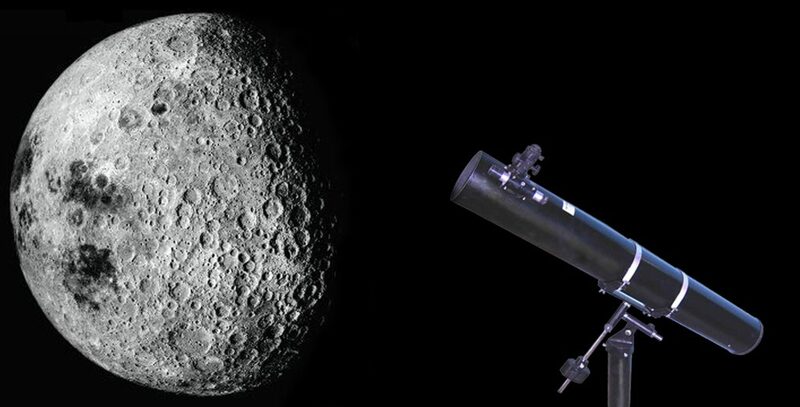 From craters on the Moon’s surface to rings around Saturn and four satellites of Jupiter, Omni Scope will show them all in surprising detail. Wide 2o field of view at 20x provides excellent view of open star clusters like M7 & M13. Can be used on a table or in your lap. Two eyepieces provide 20x and 40x magnification powers. The 2x Barlow lens will increase power to 80x! Comes equipped with a finder telescope and a metal stand. 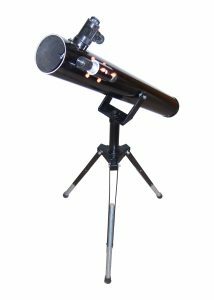 You will want to take this telescope with you everywhere! Carry bag (optional) is also available.Also available ‘Telescope Making Kit’ for this model, see pricelist. More power in the small category, the Deluxe model comes with a full size (36″ high) metal tripod stand and a higher power range. Apart from showing intricate details on Moon’s surface, Saturn’s rings, Jupiter’s satellites, phases of Venus and the red disc of Mars, it even shows some of the brighter nebulas and galaxies in deep space. Land objects are seen with amazing clarity. The magnification is obtained with supplied eyepieces and Barlow lens. Included is a 6x power finder telescope for ease in locating objects. Specially written for users of our telescopes, “Treasures of the Night Sky”, a 64 page, 11″x 9″ beginner’s guide book comes absolutely free with it. Carry bag (optional) is also available. Ideal gift for a budding enthusiast. Astro View boasts of a 70mm aperture mirror with almost the same power range as our larger model Star Gazer. Shows everything that the Deluxe model shows in more detail at higher powers, it is even better at fainter objects. 6x power finder scope in aluminium tube makes finding objects easy even for kids. Free guide book “Treasures of the Night Sky”, to help you get the maximum from your scope. Carry bag (optional) is also available. Also available ‘Telescope Making Kit-‘ for this model, see pricelist. 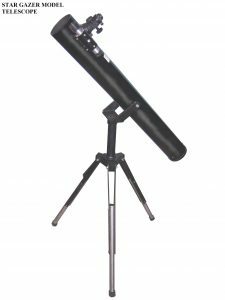 The largest in our small range category and big brother of our Astro View model, this is a truly astronomical telescope for the beginner in amateur astronomy. Star Gazer will take you a long way in studying from Moon (its craters, valleys, mountains and seas) and numerous planetary details to many of the deep sky wonders. Its 90mm diameter mirror captures enough light from the far off nebulas and galaxies to show their shapes and sizes clearly. Equally good for use on land objects, Star Gazer is supplied with eyepieces and Barlow lenses to give high magnification powers. Free with this telescope is our renowned publication “Treasures of the Night Sky”. Carry bag (optional) is also available.